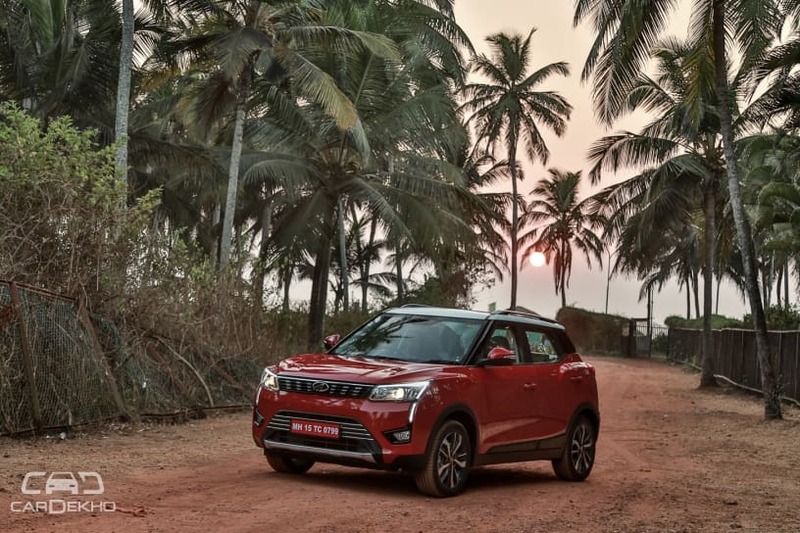 Can the all-new XUV300, Mahindra’s sub-4 metre SUV, deliver a feature packed, punchy and spacious experience, just like its elder sibling the XUV 500? Mahindra’s XUV300, unlike the TUV300 or NuvoSport, is a monocoque based SUV derived from its South Korean subsidiary Ssangyong’s Tivoli. This should offer car-like comfort and ease that would put it in the same space as Tata’s Nexon, Maruti Suzuki’s Vitara Brezza and Ford’s EcoSport. Although only available with manual transmission for now, the XUV300 offers a choice of petrol and diesel engine options. So, should hatchback and sedan buyers in the Rs 8-12 Lakh price look closely at the XUV300, and why? The XUV300 is based on Ssangyong’s Tivoli. And hence, the XUV shares its basic stance with the Tivoli. But there are a few key differences. Firstly, overall length has been shortened by chopping the boot area (after the C-Pillar) to shorten the length by 200mm, from 4195 to 3995mm. As a result, when viewed from the side, the XUV300 looks a bit strange as the design ends quite abruptly. Also, the Tivoli’s ground clearance of 167mm is lower than the XUV300. Even though it has been raised for India, the XUV300 sits lower than the competition. However, it boasts of a segment-leading wheelbase, which along with the 215/60 R17 tyres on our top-end W8 (O) test car, give it a confident look. In terms of design, the XUV300 looks similar to the Tivoli, but Mahindra state that every panel is different from the Tivoli. You can see that the face is more aggressive despite being neater. The slim grille gets the chrome slot treatment just like the XUV500. It wedges in neatly between the angular headlamps that flare out as they head towards the side. The sharp LED DRLS give this SUV quite a distinctive look. From the side, the XUV300 reminds us of the Hyundai Creta, which is no bad thing. The A-Pillar, roofline and roof rails (not offered in the UK) contribute to that effect. But, if it stood a bit taller, the SUV look would have been cemented solid. When it comes to premiumness, the diamond-cut alloys play their part just right. From the rear, the XUV looks quite rugged and premium, thanks to the wide hips and high-set tail lamps which use smooth LED elements. Just to be clear, the look here is completely different from the Tivoli, and better for it. However, inconsistent panel gaps here spoil the sense of richness. The XUV300 might be the baby of its family, but on the inside it feels more premium than its elder sibling, the XUV500. The two-tone colour combination for the cabin looks very inviting. The leatherette seats also use the lighter colour, giving a sense of being in a car from a segment above. These seats also use firmer cushions for the side bolstering for greater support in corners. The only hiccup is that the light colour means they will get dirty quickly. Smart looking touches include the the steering wheel, embellished with gunmetal grey switchgear. The simple instrument cluster is easy to read and the controls for display sit in between them. However, bits like the central unlock switches, the flimsy feel of the stalks on the steering wheel and the door release lever feel cheap and tacky. The centre console could have also looked better. In a world of floating screens and minimal buttons, this looks a bit out of place on a new car. The driver gets a height adjustable seat and a tilt adjustable steering to find the right seating position too. But, the footwells are too cramped to accomodate a dead pedal. This will add a bit of stress to your left leg in long drives. However, whether tall or short, you will have enough room in the front and the view of the road ahead is confidence inspiring, spotting the edge of the hood is easy. The second row treats its occupants acceptably. The seat cushioning is supportive and there is enough knee room and headroom to accommodate six-footers. Even sitting three abreast is managed with reasonable comfort as the middle passenger doesn’t sit shoulder to shoulder with the other occupants as the seat pushes him forward slightly. However, the low-set seat feels short on under-thigh support and the smaller window area eats into the sense of space. However, for a car that boasts of class-leading wheelbase and width, we were expecting a greater sense of space and comfort in the backseat. Also, the lack of any charging options feels a bit strange. In the transition from Tivoli to XUV, the boot space has really suffered. Chopping 200mm of overall length has resulted in a luggage carrying capacity that is more like a mid-size hatch. The 60:40 split folding seats offer some flexibility, but we expect luggage space to be significantly smaller than the competition. The XUV300, in true Mahindra fashion, packs a lot of wow and convenience features. Wow features on the top-end W8(O) variant that we tested packed electrically operated sunroof which doesn’t offer one-touch operation, so you need to be alert about how long to keep the roof switch pressed. The dual-tone dash with the leather-like seat covers add to the sense of premiumness of the cabin. Colour options for the instrument cluster surround add an element of personalisation. Personalisation levels are also improved by the segment-first dual-zone climate control which allows the driver and passenger to set the temperature as per their preference. For convenience, while parking, the reversing camera offers intelligent modes that scan the surrounding for marked parking spaces and give audio and visual guidance to park into the identified spot. Convenience when parking is improved with two front parking sensors, while the rear uses four sensors. A wheel direction indicator on the MID which shows you which way your wheels are pointed when parked makes it easier to steer while parking. Cruise control, rain-sensing wipers, engine start button and keyless entry increase the convenience factor. Aside from this, there are also auto-headlamps which use halogen projectors for the low beam. For lowering emissions, there is also an Engine Stop-Start feature. The infotainment system uses a responsive 7-inch touchscreen. It offers Android Auto and Apple CarPlay connectivity and even packs inbuilt navigation with 3D maps. As with other Mahindras, the EcoSense app can coach you on driving for better fuel efficiency and even rates the driver’s efforts. At launch, the XUV300 will be offered with two engines - a petrol and a diesel. The 1.2-litre turbocharged petrol engine which, on paper, offers the same 110PS of power as the 1.2-litre Tata Nexon. However, in terms of torque, the petrol offers a class-leading 200Nm. However, on the pre-launch test drive only the 1.5-litre diesel was made available. This engine promises class-leading 115PS of power and 300Nm of torque. Both these engines are available with 6-speed manual transmissions only, for now. While the Tivoli is offered with all-wheel drive too, we do not expect this to come to India. The 1.5-litre four-cylinder diesel engine is derived from the Marazzo, but some changes to the tune give it a more energetic character. At start up, you can feel a bit of diesel rumble and light vibes in the cabin. While this isn’t something we would complain about, we have been spoilt by the larger Marazzo which just damps these out. It is easy to make out that the XUV300 is peppier to drive. Overtaking other vehicles requires very little effort. No doubt, being lighter than the Marazzo has helped, but the torque spike at 1500rpm makes it feel quite exciting. Even in the city, you can drive around smoothly and easily as the clutch is light, although shifting the tall gear lever requires a bit of effort. However, like on the Marazzo, the engine can feel lethargic if you drive around in a higher gear at low speeds. On inclines or if the engine revs drop below 1500rpm, it is easy to stall the XUV300. This will require some getting used to. In terms of fuel efficiency, no official figures are available as of now, but you can expect them to be higher than the 17.3kpl that Mahindra claims for the Marazzo. You feel confident driving the XUV too, thanks to the steering. It has three modes - Normal, Comfort and Sport -, which change the weight of the steering. These do not change how quickly the vehicle actually turns, so we preferred the light but precise and direct feel of Comfort. The suspension also makes the XUV300 feel composed at high speeds, even over poor roads. The brakes provide a safe and secure feel while slowing down too. In the city, the way the suspension reduces the impact of the potholes is also satisfying. On the safety front, the XUV300 starts from the ground up by offering disc brakes on all four wheels, ABS with EBD, Cornering Brake Control, dual airbags and ISOFIX mounts as standard. The top-end variant gets seven airbags, including a knee airbag for the driver, and ESP based safety features like traction control, roll-over mitigation, brake fade compensation and hill-start assist too. Smaller details like an adjustable headrest for the middle occupat at the back and a proper three-point seatbelt present a very mature side of the XUV300. If you are focussed on the front seats, the height-adjustable seatbelts at the front deserve some brownie points. Mahindra’s XUV300 will be offered in four variants W4, W6, W8 and W8(O). We know that base W4 variant will be offered with 16-inch steel wheels instead of 17-inch rims. Details on the variant wise features will be available at launch. Mahindra’s XUV300 will appeal to you for its high feel good factor and exciting nature. Despite a few quality issues, it feels premium and is very well equipped too. Its cramped boot can be a deal breaker for households with just one car. The rear seat isn’t class leading in terms of space and comfort either, but it is comfortable enough for two adults. The majority of the XUV300’s appeal is about the front seat experience. From the driver’s seat, the diesel XUV300 feels peppy and enjoyable, although at low speeds, you will have to be ready to shift down to stay in the rpm zone where the engine is responsive. On an open road, it makes for a fun and relaxing companion, thanks to strong performance and good high-speed behaviour. Mahindra has priced the XUV300 at Rs 7.9 lakh for the base W4 petrol variant and prices reach up to Rs 12 lakh for the top spec W8 diesel. So, it is priced at a premium over rivals like the EcoSport (11.89 lakh), Nexon (10.80 lakh) and the Vitara Brezza (10.64 lakh). So, the XUV300's value, practicality and SUV quotient aren't its main attractions. Its indulgent packaging, sense of solidity and fun to drive nature are, and will impress you enough to tempt you to open up your wallet a bit more for this Mahindra.